A cellphone cover caused confusion and a lot of trouble for police in Alhambra, California, after officers were called to a parking lot to deal with a driver, whom they thought was armed. Turns out, the man was asleep beside a cellphone case shaped like a gun, but Alhambra police didn’t realize until hours later, once the individual surrendered. Early in the morning of December 30, the Alhambra Fire Department was responding to a potential medical emergency in a carpark after spotting a man they suspected was either unconscious or sleeping in a car and also noticed the gun-shaped object beside the driver. 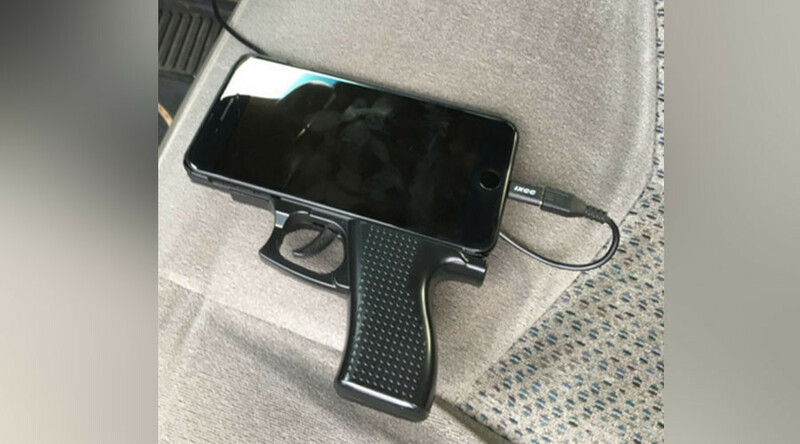 Special forces were called to the scene and, at around 2:35pm, the man emerged from the car with his hands up after police realized he had been snoozing with the gun-shaped cellphone cover beside him. “The situation ended peaceful and it was determined what appeared to be a gun was actually a cellphone case of a gun,” Alhambra Police said in a Facebook post. “The male subject did not require any medical attention, was not arrested, and was sleeping in his vehicle,” the statement continued.